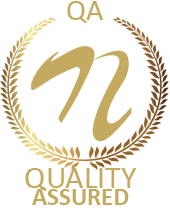 The use of renewable resources like the solar energy and various other clean sources of energy has been on an increase in demand in the recent years due to their ease in availability and low and cost. 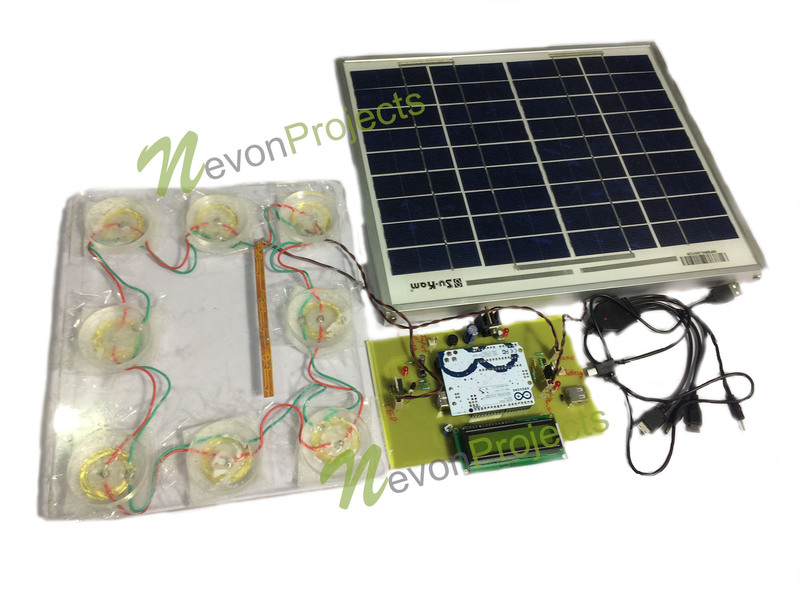 This project demonstrates how to use the solar energy and the kinetic energy from footsteps of people walking over piezo based footboard. 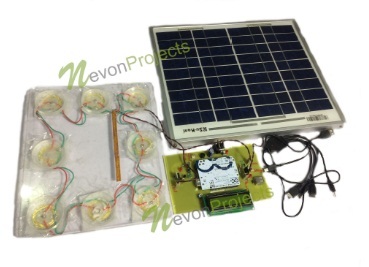 The Solar Panel is used to harness the solar power. It converts the solar power into voltage, which when more than the voltage in the battery is able to charge the battery. 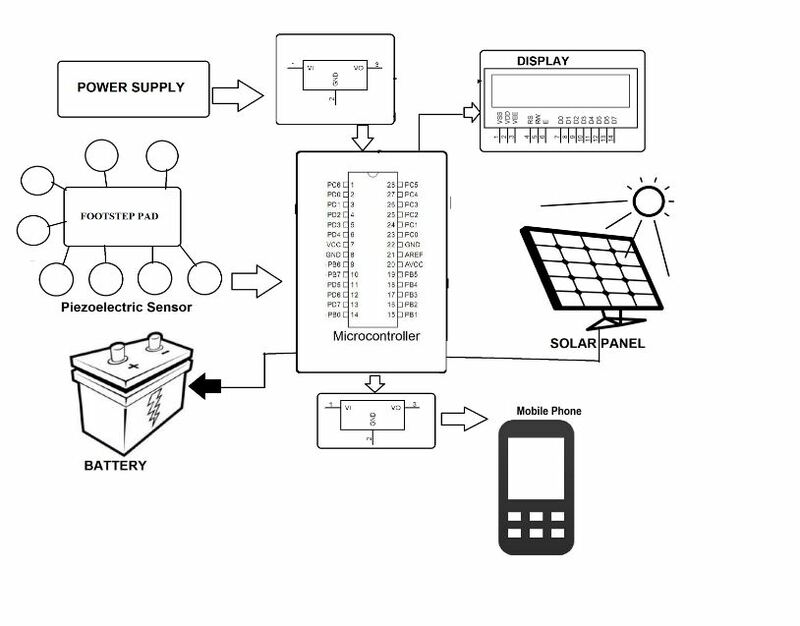 The power available through the solar panel is sensed by an Atmega family microcontroller which it displays on the LCD. Similarly, the power generated through footsteps over Piezo Footboard is shown on the LCD. In this case, the footstep count is also displayed on the LCD along with the voltage generated by that particular footstep. 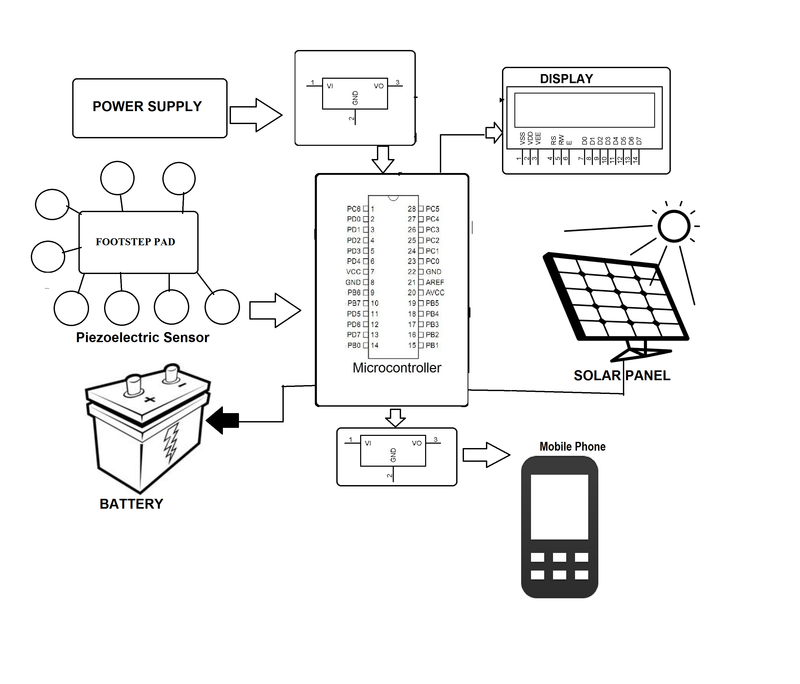 In this way one can charge the battery through solar and footstep energies while simultaneously also monitoring of how much is getting generated with the use of Solar Piezo Hybrid Power Charging System.